What Is Roadside Assistance and What Does It Include? Roadside assistance often includes towing service. While a tow truck technician will do his or her best to get your vehicle back up and running, that is not always possible. 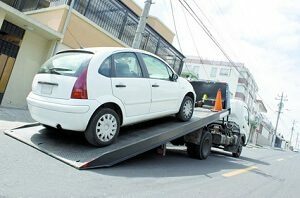 When a vehicle is no longer drivable, a tow truck may be needed to transport the vehicle safely to a nearby garage or other destination. If your battery dies while you’re on the road, roadside assistance may be just what you need. 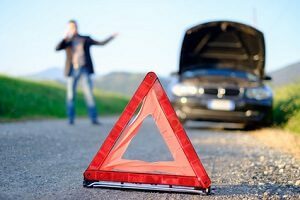 When you contact a tow truck company for help, they’ll send a technician to your location with the proper tools and equipment needed to jump start the battery. Most of the time, a jump start to the battery will get the vehicle running again. If the jump start fails, towing service may be offered. Roadside assistance often includes the changing of flat tires. When you call a tow truck company due to a flat tire, an experienced technician will arrive to your location and substitute the flat tire with the spare in your car. If you do not have a spare, the tow truck driver may be able to bring one. If no spare is available, another service may be offered such as towing. Many drivers make the common mistake of locking their keys in the car. When you can’t gain entry back into your vehicle, roadside assistance is there to give you a hand. A technician will usually possess the necessary tools and experience to regain entry into your car without causing damage to the vehicle. If the roadside service technician cannot get into your vehicle, he or she can usually recommend a local locksmith to get the job done. Running out of fuel or fluids on the road can result in a wide range of problems. Without gas your vehicle can simply stop working. Lack of certain fluids can cause your vehicle components to malfunction possibly causing extensive damage to your car. If you run out of fuel or fluids while on the road, contact roadside assistance for help. A technician can bring you exactly what you need for a fair price to ensure that you get back on the road in no time. Roadside assistance may cover a wide range of services such as towing, car battery replacement, flat tire change, car locksmith, fuel delivery, and more. When you’re facing a hardship on the road, you’ll be glad you have access to these services.